Obama has come under attack by those who do not understand the brilliance of his comment. In the Gene Roddenberry Star Trek universe there were Vulcan mild melds. The George Lucas Star Wars universe used Jedi mind tricks. Both can be seen in the video above. Neither had a Jedi mind meld. The Roddenberry/Lucas days, and divide between the Star Trek/Star Wars universe is now over. There is intergalactic rapprochement, with J.J. Abrams taking control of both. We’ve already seen Abrams move a more common Star Wars, theme blowing up entire planets, to Star Trek. Don’t leave Star Trek Into Darkness before the end of the credits. You just might see Kirk, Spock, and Sherlock at a Shawarma restaurant. 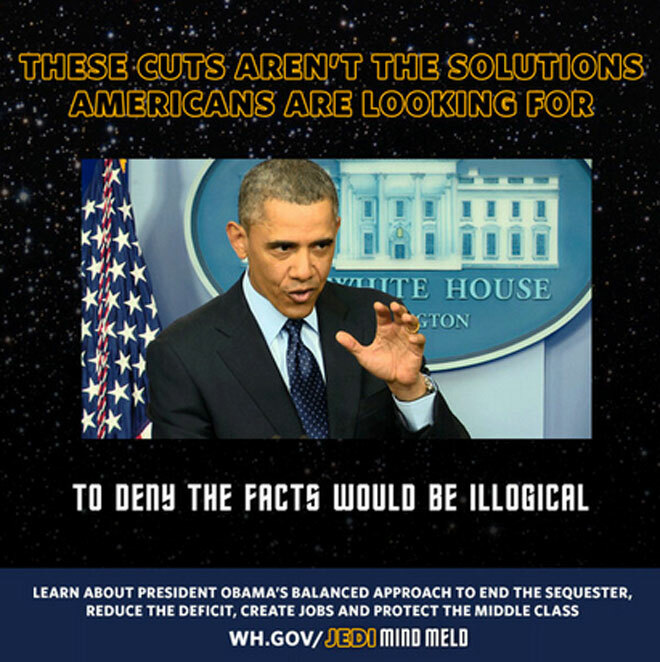 Go to Whitehouse.gov/JediMindMeld and see Obama’s budget proposals. This isn’t the first time the White House made references to Star Wars—see their response to the petition to build the Death Star. Mixtures such as this are not unheard of. Look at Iron Man 2 after Disney bought Marvel. The video of Tony Stark’s father looked just like old videos of Walt Disney promoting Epcot and Stark Expo sure looked a lot like Future World. Just wait until the next Star Wars movie now that Disney owns the franchise. Death Star will look like a giant Spaceship Earth and Imperial Stormtroopers will look like Green Army Men. 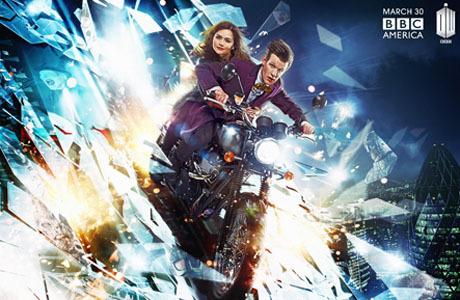 Coming Up: SciFi Weekend II will include Doctor Who news, Game of Thrones, and Alexis Bledel reprising Joanna Paige’s role from Gavin and Stacey (a story which I can easily stretch to show genre connections). « Isn’t This What We Would Expect From Fox?